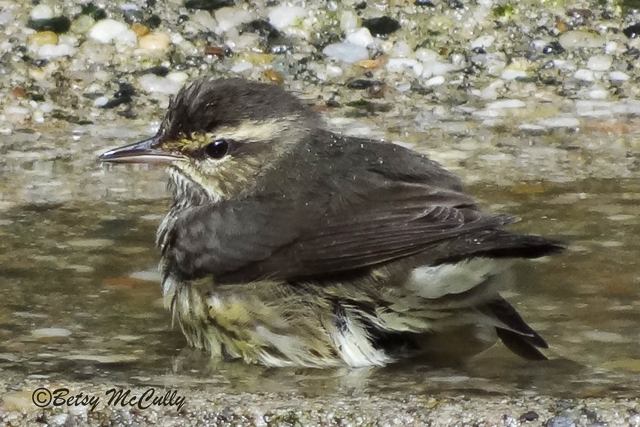 Northern Waterthrush (Parkesia noveboracensis). Forests. Migrant.Breeds upstate. This individual came to a birdbath during migration.